Puget Systems brings its expertise to the server space, launching a full line of servers optimized for virtualization. SEATTLE, WA - Puget Systems (www.pugetsystems.com), a boutique integrator of custom PC systems for enthusiasts, gamers, consumers and SMB markets, today announced its expansion into the server space, with the launch of its full line of Summit Servers, in both rackmount and tower configurations. "Puget Systems has an excellent reputation for quality and performance," said Jon Bach, president of Puget Systems. "We have built our business around ensuring that quality, and the server space will allow us to expand on those strengths and push that bar even higher." Puget Systems is a consistent industry leader with its practices for ensuring quality. In an unprecedented move of transparency, their product line qualification process has been recently made public through Puget Labs, the R&D arm of Puget Systems. Building on the rigorous qualification process, they review their product line weekly to review reliability trends, identifying BOM changes or batch issues. Their QA process leaves nothing to chance and constantly evolves to address a rapidly changing ecosystem. The results are reflected in the overwhelming testimonials from Puget Systems’ clients. The Puget Systems Summit Servers are optimized for the VMware vSphere platform. “We spent the last 6 months moving our entire internal infrastructure to run under VMware,” said Bach. “Of course, we’re running on our own Summit platform. We didn’t feel we could be an authority with anything less.” Puget Systems is a certified VMware Professional Solution Provider. 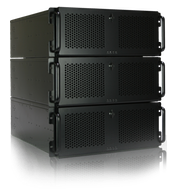 The Summit Rackmount series includes single and dual socket configurations. The single socket 2U and 3U options are low power, and extremely shallow depth at less than 17.5 inches. The dual socket 4U option allows up to 14TB storage and 12 CPU cores. Customized configurations based on the Summit platform are available on request. The Summit Tower series are ideal for small business, and start as low as $1100. The single socket tower stands just over 17 inches tall, and is designed operate cool and quiet where a server room is not present. 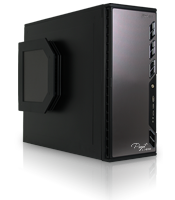 The dual socket tower adds options for redundant power supplies and up to 5 PCI-E expansion cards, as well as a legacy PCI card. The Puget Summit Series is available for immediate purchase. For more information, or to custom tailor a Summit server, please visit (https://www.pugetsystems.com/server.php). Customers ordering online using the Puget Systems Summit configuration tool will have their new servers shipped within 5-7 business days.